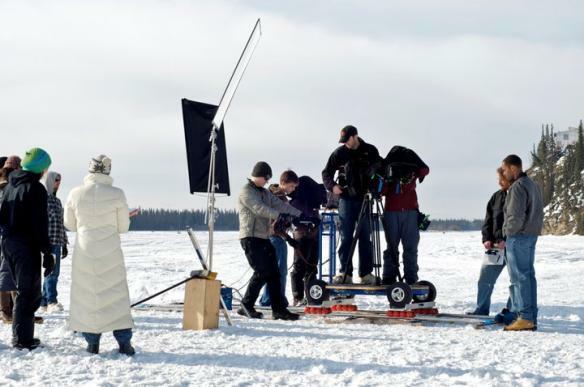 Published December 7, 2013 at 584 × 387 in Dolly shot for AlaskaLand. Dolly Shot at the Tanana River Location for ALASKALAND Spring 2011. Photo by Jodi Samsel.